Forth Dimension Displays develops, manufactures, and supplies ferroelectric liquid crystal on silicon devices (FLCoS) for applications as spatial light modulator (SLM). The FLCoS devices can be operated either as a microdisplay in amplitude modulation or as binary phase modulators in applications that require a programmable 2D diffraction grating. 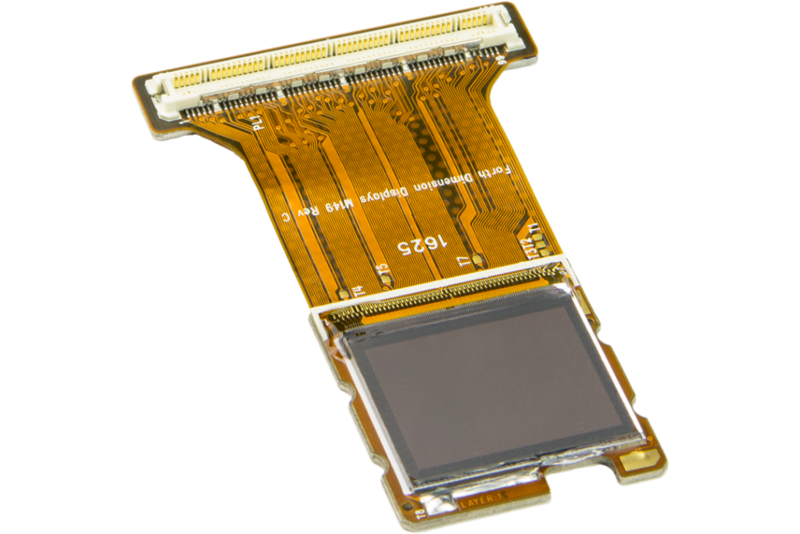 Forth Dimension Displays offers resolutions of QXGA (2048 x 1536 @ 8.2 µm pixel pitch), SXGA (1280 x 1024 @ 13.62 µm pixel pitch) and WXGA (1280 x 768 @ 13.62 µm pixel pitch) employing Time Domain Imaging, (TDI™). In Q3 2019 a 2k x 2k resolution FLCoS will be launched, in 2020 a QHD (2560 x 1440) FLCoS. It is an enabling technology of many advanced applications and is available with a number of driver interfaces each designed to suit the specific needs of the system developer. Forth Dimension Displays offers plug & play board level products which include the application-dedicated interface board. The FLCoS models are also available in conjunction with a dedicated IPcore to drive the microdisplay with a customer-designed interface board. The FLCoS -based spatial light modulators for structured light projection in amplitude modulation or as binary phase modulators. The board level products can either accept video data (R- series) or show pre-loaded images as required for structured light synchronized with a camera (3DM series). Forth Dimension Displays wishes to support those customers who have long product life cycles. To help customers get the maximum benefit from the TDI displays over an extended product life cycle, we have undertaken to provide enhanced customer support beyond the contractual warranty period. We recognise that this approach differs from that of some of our competitors, hence the publication of this Obsolescence Statement. Forth Dimension Displays Ltd provides products that comply with the requirements of EU Directive 2002/95/EC RoHS (Restrictions on the use of certain Hazardous Substances).